Program 5.31.15: Burke and I visit Westerville! We stop at the First Responders Park, Uptown Deli and Brew featuring Temperance Row Brewing Co., Pure Roots Boutique, and the Anti-Saloon League Museum. 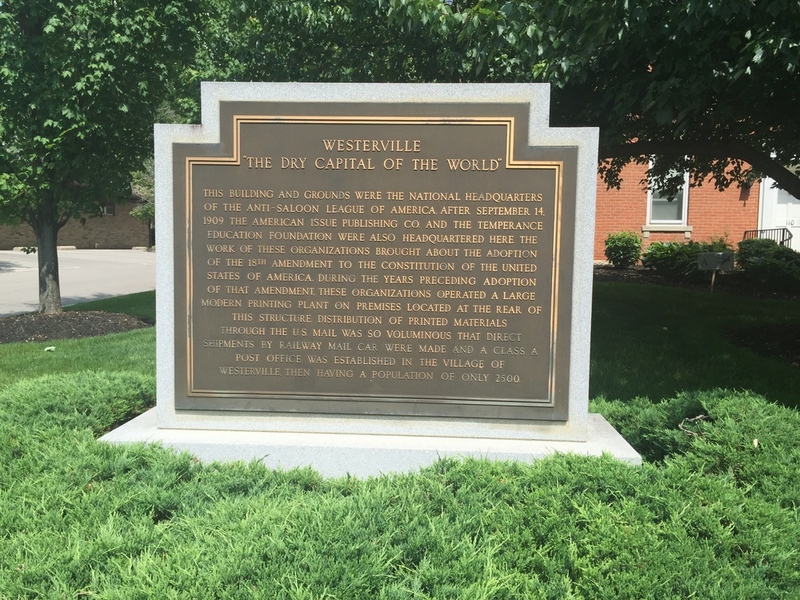 Burke takes me to his hometown: Westerville, OH. Here we visit the First Responders Park where we view piece of the fallen World Trade Center. I never imagined I would be so close to this part of current history. The park is also home to a statue honoring fallen firefighter Dave Theisen. Designed to be a place of reflection for first responders lost and a celebration for their achievements, the First Responders Park is a peaceful stop on the way to uptown Westerville. Saturday: Along with Alison and Andrew, Burke and I head to Uptown Deli and Brew featuring Temperance Row Brewing Co. Westerville was the home to the Anti-Saloon League and in fact Westerville was dry until 1995 due to land annexation. Uptown Westerville did not serve beer until 2007! 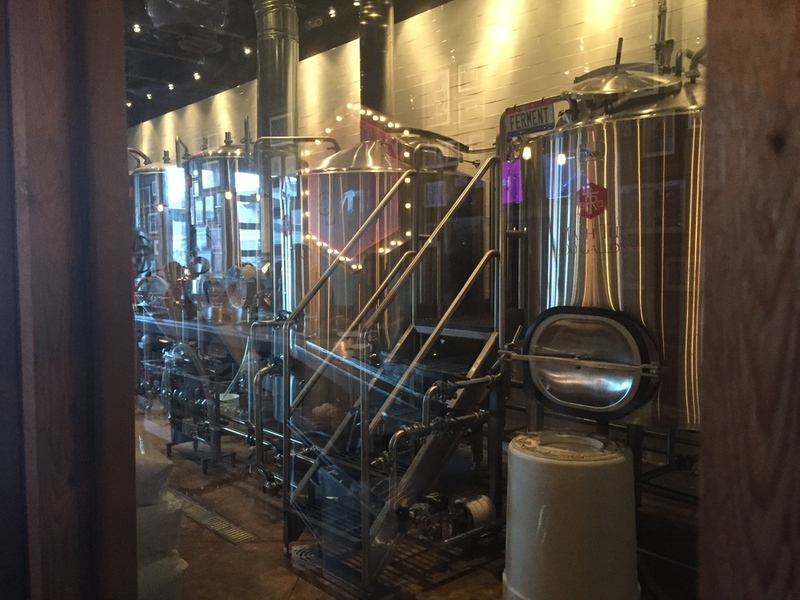 Temperance Row Brewing Co. is the first legal brewery in Westerville since the early 1900s. As for the food and drink: all yummy! Dan took care of us and suggested the Cheese Curds for a starter. I never imagined when I woke Saturday morning I would eat Cheese Curds that day. Cheese Curds. Cheese Curds. Nope, still does not have a yummy ring to it. But let me tell you, they were delicious! The four of us split the Cheese Curds (along with the dip) and we all enjoyed them! Burke and I split the Chive Turkey sandwich along with the chips, Allison ordered a Caesar Salad, and Andrew ordered the Black Bean Chipotle Burger. You wonder who Andrew is? He is someone special to Allison! He is a very polite and kind young man with a sense of humor similar to my own. Hope to see him again soon! So, stop by Uptown Deli and Brew and tell Dan the Man we said Hi! Also, try a beer flight! We walked across and down the street to Pure Roots Boutique. As I shared with founder/owner Nicole, I 'liked' Pure Roots on facebook and have wanted to stop by for a while. We enjoyed browsing through the boutique looking at art, jewelry, soaps, candles and all the lovely handcrafts made by local artisans. Stop by and find the perfect piece of art you have always wanted for that spot on the wall, or the amazing gift for the wedding you will be going to this summer! After an ice cream moment at Graeters, we drove down to the Westerville Library, which is the home of the Anti-Saloon League Museum. This was the first time I had been to either one and it is a library worthy of spending some time in! The ASL Museum features not only items of the Prohibition movement, but WWII and other historic pieces, as well. Tours can be scheduled or you can walk in. We did learn from Beth, the historic attendant, Ken Burns visited the museum when he was creating his Prohibition series! Uptown Deli and Brew/Temperance Row Brewing Co.